An impressively beautiful woman of around 60, Delyth is a former teacher, recently divorced from her husband Huw, and mother of David and Megan. She's a keen member of the Midsomer Ramblers Club. 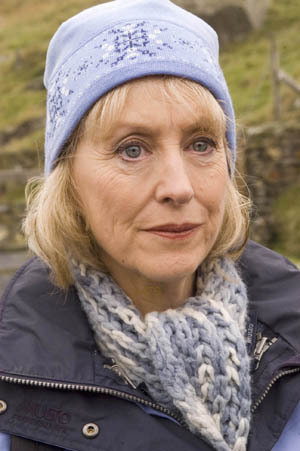 The senior partner in the Midsomer Market medical practice, wealthy, confident and in a secret relationship with Delyth. A younger doctor in the same practice, Alan is quiet but popular. Kath also works as a GP at the practice and is married to pathologist George Bullard. The daughter of Delyth and Huw Mostyn, Megan is the practice manager in the Midsomer Market surgery. The son of Delyth and Huw, David runs a business selling imported cane furniture. Tall and good-looking Bryn Williams is a cousin and good friend to Delyth Mostyn. He lives in Snowdonia next to a slate waste tip that was once a thriving quarry. The violent ex-husband of Delyth, Huw's power was diminished by a recent stroke. Harriet is a smart businesswoman and successful estate agent in Midsomer, as well as being the on-off girlfriend of David Mostyn. Jason is a small-time builder and odd-job man and lives with Megan Mostyn. Dorothy lives in a remote farmhouse where she keeps hens and llamas. She is the mother of James Kirkwood's late wife Sarah and still grieves for her daughter. A bachelor pig farmer of some note, Clifford is in search of a wife and is very attracted to Delyth.